Dogs are naturally social animals, happiest when they are among other familiar dogs or people, their ‘pack-mates’. In the wild, wolves are extremely social creatures, dependent upon their extended family, or pack, for daily life! Living among our human world with all of its’ very unnatural human dangers, dogs are even more dependent on others. In the end, well-socialized dogs are simply happier. They aren’t nearly as stressed, don’t suffer from anxiety related problems as often, and are able to both exercise and play with others more freely. Because they evolved such finely tuned survival instincts over hundreds of thousands of years of evolution, wolves (and today’s domesticated dogs they are descended from) are naturally cautious of strange animals they haven’t encountered before. For our dogs, this means Fido might regard that strange animal he’s not used to or has never seen before, that animal now ‘invading’ his space where he and his precious family he relies on for survival live, as a possibly dangerous threat. This can easily lead to dog fights, and many unfortunate animals were severely injured because of these misunderstandings. This can be an enormous problem when young children are concerned. Sure, well-socialized dogs are happier and tend to play well with others. But safety is the real reason it is so important to socialize your dogs! All Important Rule: Make sure every interaction is a happy one! Introduce your puppy to children, adults, and other dogs (with close supervision, of course). Ironically, ‘obedience’ classes are usually better for the socialization dogs to get with ‘classmates’ than any actual obedience skills they might learn. Let your puppy interact with friendly cats. Invite family and friends over to meet your new and interesting puppy, allowing your pup to get used to larger groups of people (careful not to overwhelm the pup). Make these encounters into fun games if you can. 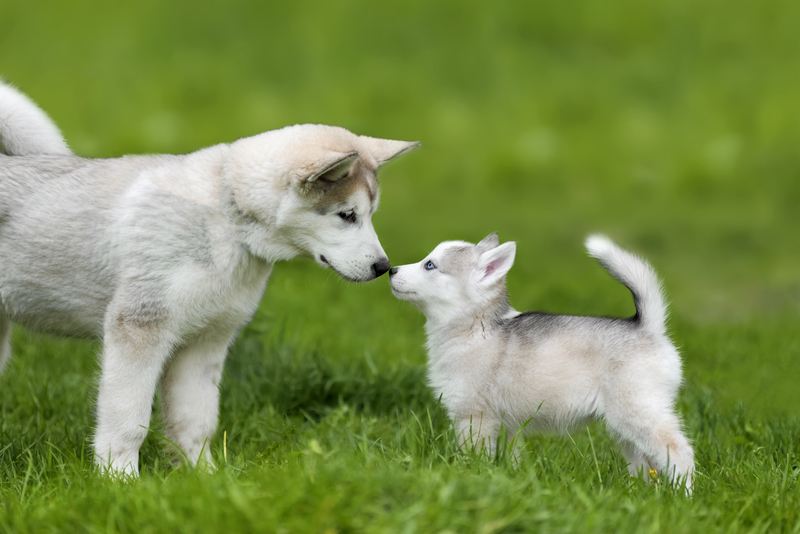 As long as you follow the one rule above, your pup’s social skills will continue to grow! It can range from difficult to near impossible to socialize poorly trained, fearful adults, especially those who’ve endured past trauma. The aggressive ones you might hear about often fall into this category. That is why it is so important to ‘start young’, around 8-12 weeks of age! If nothing else, well-socialized dogs play better with other well-socialized dogs, able to get much better exercise on their own and remain healthier!